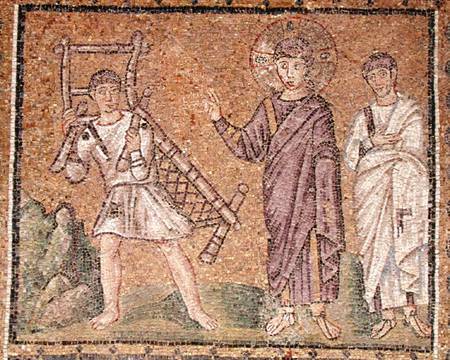 Home / SERMONS & HOMILIES ARCHIVE / 2nd Sunday of Lent, Mark 2: 1-12; Heb 1:10-14, 2:1-3. St Gregory Palmas. In this Gospel story, the paralytic man was hoping his illness would be cured. And so were the four men, wishing from their compassionate hearts that the man suffering from paralysis would be cured. They had come to the house in Capernaum where Jesus was preaching in. No matter what it took, they wanted earnestly to participate at the closest point in Jesus’ meeting, where he was preaching the gospel, where He was giving the Word of God, the power of His Holy Spirit. So to encounter the God of mercy, the God of salvation whom they believed by faith, because of the crowd, they removed the roof above Him and let down the pallet/bed on which the paralytic lay. At that point, Jesus saw the faith in their heart, in their determined actions to bring the paralytic man to Him. He saw their faith in believing the gospel, in the power of His Holy Spirit. However, Jesus saw the faith, not of the sick man, but of his bearers. This is an example which sometimes happens, that a man is healed by the faith of others who care for him. They are those faithful who have true concern for their fellow humans and pray for them, bringing the names or in this case the actual person, who they are concerned about, to Christ for spiritual renewal/rebirth. Indeed, Jesus proclaimed with divine authority the message/Word of God that they had faith in when He said, ‘My Son, your sins are forgiven.’ At that moment both the paralytic man, the four men who brought him, and all the mass of people who gathered at that meeting, encountered the God of mercy and the God of salvation. As soon as the paralytic man’s sins were forgiven, Jesus in His love towards him who had returned back to Him, like the father in the story of the prodigal son, referred to him as ‘My Son’. According to the Fathers, humans are afflicted by sicknesses for five reasons: 1) in order to increase their virtue, as Job and the Martyrs; 2) to preserve their humility, as Paul by the messenger of Satan (Cor. 12:7-10); 3) that they may perceive their sins, as Miriam, the sister of Moses (Num. 12:2-15) and this paralytic; 4) for the glory of God, as the man born blind (Jn. 9: 1-12) and Lazarus (Jn. 11:1-46); or 5) as the beginnings of the pains of damnation, as Herod (Acts. 12: 20-23) and Antiochus (2 Macc. 9). But the gospel said, ‘Now some of the scribes were sitting there questioning in their hearts’. Those who questioned in their heart accused Jesus of blasphemy, anticipating the sentence of His death by Judaic Law. They laid this charge upon Him because He claimed for Himself the divine power of forgiving sins. The fact is that anyone who questions in their heart the power of Jesus Christ is no different to some of those doubting scribes that Jesus encountered. Immediately when Jesus perceived in His Spirit that they had these negative thoughts, He said to them, ‘Why do you question these things in your hearts?’ Once again He shows Himself to be God, since He can know the hidden things of a person’s heart. Therefore Jesus indirectly answered their doubts by teaching them two lessons at once: that with the same authority and accuracy by which He looked upon their thoughts, He can also ‘forgive the sins’ of people. However, because it is easier to say than to do, there was still manifestly something to say in opposition to Jesus Christ, for the work of forgiving one’s sins by God’s Word was not manifested. How can one tell or see whether God has forgiven another’s sins, since the soul is invisible? But that they may know, since they doubted His Word, He performed a visual work which confirmed what was unseen. Right before performing the visible miracle Jesus Christ said, ‘But, that you may know that the Son of Man has authority on earth to forgive sin’. It was a bold statement which emphasised with the evidence of the miracle that He is Jesus Christ the Lord, Who lives His life by means of both a divine and human ‘activity’ in the same act, according to a certain new theandric activity. Knowing that they would not comprehend how He works, Jesus said, it is easier to say, ‘Rise take up your pallet and walk,’ than, ‘Your sins are forgiven’. The former command was made for humanity’s benefit, to help those who doubt comprehend the earthly authority and reality of His Divine power, which works invisibly due to humanity’s spiritual immaturity. In this way He demonstrated in Himself a new mystery, the natural existence of both natures, and each through the other without change and in truth. After seeing the miracle of the paralytic rising up, walking and glorifying Christ, they were all amazed and in awe at the restoration of the paralytic man’s bodily and spiritual health. They had ‘never seen’ anything like this because their eyes of faith had to be opened by this miracle. In our times and throughout the salvation history of the Church, there are and have always been those faithful and conscious Christians, as witnessed by so many blessed fathers, mothers and faithful in our Church, who were in awe and glorified God every moment of their life. This is because the eyes of their faith were opened through baptism and kept this way, by the continual ascetical practises as prescribed by the tried and tested life of the Church which has produced so many saints. For this reason they could see the glory and the love that God has for humanity at all times. In other words, those of weak faith, those who have been careless about the faith that was given to them through baptism, need to see miracles so that their faith may be confirmed, but those of stronger faith rooted in prayer, can see God’s wisdom all the time. 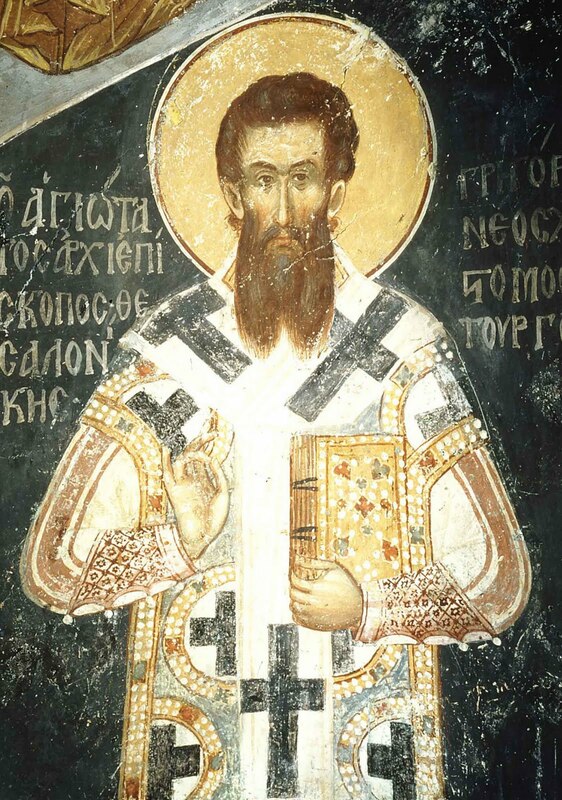 St Gregory Palamas (1296-1359) a bishop and messenger of grace from Thessaloniki, was one such person. He testified throughout all his writings and hesychastic ecclesial life, that only by nurturing faith in Jesus Christ as Lord, and honouring the Word of God with silence, one will be able by the grace of God to bear this new mystery. No rational principle can ever comprehend this ineffable theandric mode of natural union, as witnessed by those faithful such as St Gregory Palamas, who experienced the uncreated light of God through the ecclesial Tradition of our Church. Δόξα. Ἦχος πλ. βʹ. Τοῦ Τριωδίου. Τοῖς ἐν σκότει ἁμαρτημάτων πο‐ ρευομένοις, φῶς ἀνέτειλας Χριστέ, τῷ καιρῷ τῆς ἐγκρατείας∙ καὶ τὴν εὔσημον ἡμέραν τοῦ Πάθους σου, δεῖξον ἡμῖν, ἵνα βοῶμέν σοι∙ Ἀνάστα ὁ Θεός, ἐλέησον ἡμᾶς. Translation: Glory. Mode pl. 2d. From the Triodion. To those walking in the darkness of their sins You have shone as light, O Christ, during the season of self-control. And reveal to us the auspicious day of Your Passion, so that we may cry to You, “Arise, O God, have mercy on us.” Our praise is that through Christ’s loving light, ‘we have seen the true light’. Our hope is that we are able to see more purely through prayer, work the commandments more zealously and arrive at the contemplation of His Wisdom through steady vigilance. Then our thoughts and body should say within us in an exalted way, ‘Glory to God! One cannot appreciate His mystery until the day one is cured of their spiritual paralysis by repentance, by a faithful enduring love and life in Christ, lived through the mysteries of the Church.